“On behalf of Shamaun and I , we just want to thank you for creating such a beautiful ceremony for us. We had no clue what we wanted and we were both nervous for the day but we shouldn't have been! We both had no clue how we would want the ceremony to be but your guidance was much appreciated and we appreciated your guidance on the day and to stay calm if I saw an ant on my dress! "You were awesome! I was nervous about how the day would go having planned it from afar, but you were the calm voice of reason and I quickly realised I needn’t have worried about anything! Steve and I really loved how you managed to weave our words so expertly into the service and include your own wise and humourous take on marriage too. Thank you for supporting me with my vows! I wasn’t sure about them, but your encouragement meant I stuck with them and I’m glad I did." "Philippa was an absolute star and I can honestly say that our wedding day would not have been as wonderful had it not been for her. The amount of time and effort she put into our ceremony was incredible. During our meetings with Philippa, it was clear that she absolutely loves when she does. She shared so many beautiful stories of weddings she had been a part of as well as some memories of her own wedding. It felt like we had known Philippa forever and we felt truly blessed to have her be our celebrant. She took the stress out of everything! Her amazing sense of humour, gorgeous nature and passion for her work resulted in such a heartwarming ceremony that so many of our guests commented on. Thank you for everything Philippa! You are the BEST!" "I give Philippa my highest recommendation! We had the best day and I’m certain she made it better! Philippa had really great advice, she was super easy to work with and she anticipated our needs. From the very first communication Philippa was effficient, personal and professional. I could tell that Philippa has been part of many weddings which made things so seamless yet we also felt like she was excited for us as if we were her first wedding. Her young, fresh approach made our day really fun and she looked great in pictures! Philippa is just fabulous! We are so thankful!" 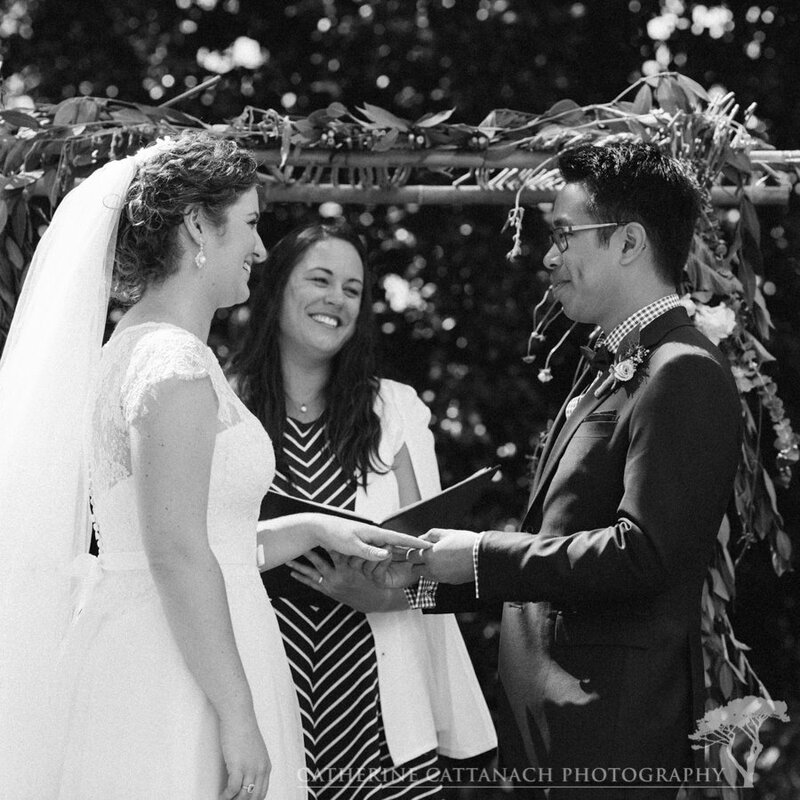 "What a joy it was to meet you too Philippa and we will always be thankful you were our celebrant on our big day. You carried us through with your care, professionalism and warmth and contributed to making the day so beautifully wonderful for us and our family...Thankyou so very much xxxxxx"
"Thank you so much for organising the perfect wedding Philippa. It was exactly what we wanted. You were fantastic & we very much appreciate the time & effort you put into making it special for us. "I’m so thankful Philippa was part of our day, she is absolutely one of the most warm hearted people you could meet. I knew a year before our wedding I wanted her to be our celebrant, after meeting her at our friends wedding. Not only did she give us endless advice, but it was the right advice, encouraging you to be yourself, but offer the right amount of guidance when you’re stuck. She made us calm and at ease, and we knew she had everything organised and in control, leaving us to feel free to enjoy ourselves and not get overwhelmed with what to say or do on the day. I couldn’t recommend Philippa enough! She was truly amazing!!!" "Philippa is SUPER INCREDIBLE FABULOUSLY AWESOME - so supportive, caring, understanding or our quirks and a bundle of fun to plan our ceremony with, we can’t recommend her highly enough! Thank you again for being our celebrant and helping make our dreams come true - the ceremony was perfect and we are loving being Mr & Mrs!" I have found it very hard to put into words how incredible our day was. Just perfect! We were so honoured to have Philippa marry us in October 2017. As one of my best friends I could not imagine anyone else officiating our ceremony. Philippa thank you so much for your guidance and going above and beyond to present a ceremony that represented us perfectly. So many guests commented how beautiful and emotional the ceremony was and that can be credited to Philippa’s planning and presentation of our story. 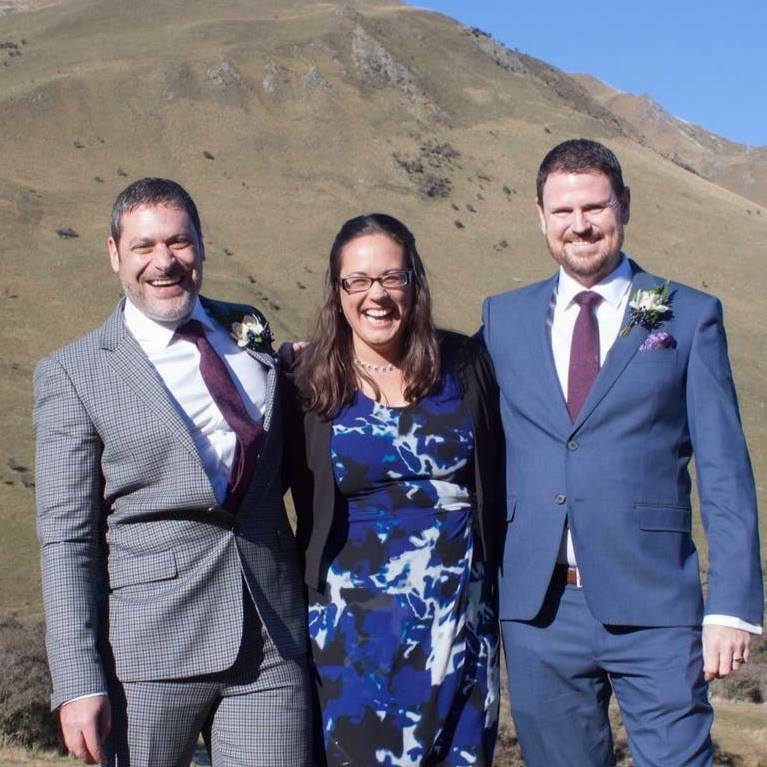 Whether an elopement or larger wedding with many guests, I would not recommend any other celebrant but Philippa in Queenstown (or anywhere else in NZ).